British Gas is to launch a £100m customer loyalty scheme in April. The programme will include discounts on energy or Sky entertainment packages. Energy firms have been under pressure from the government not to punish loyal customers as campaigners have urged consumers to switch to cheaper tariffs. A spokesman told the BBC the company "strongly denied" offers such as Sky TV would make it harder for customers to compare tariffs. 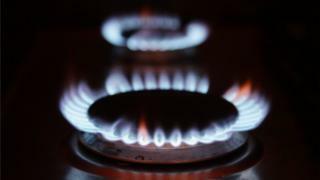 While energy regulator Ofgem has said it wanted to see an end to complex tariffs, the competition watchdog has said the move was stifling competition. The scheme will be offered to millions of customers and will launch in April, according to a memo sent to staff and seen by the BBC. "We will be giving existing customers strong reasons to stay with us... This reinforces our commitment to listen to our customers and respond to their changing needs." British gas has 6.6 million customers on standard tariffs, more than any of the other big six suppliers. So it's at the heart of the debate about how the big firms treat their loyal customers. And it potentially has the most to lose should the government intervene in the energy market. That could happen in the Spring when the government is due to publish a consumer green paper. There's been speculation that paper could include measures to help customers stuck on expensive standard tariffs. So British Gas will be hoping this new scheme placates the government while ensuring it holds on to millions of customers who don't switch and who have traditionally paid over the odds for their energy. As well as Sky, customers will be offered other bundles, including deals for boiler servicing, wireless heating control systems and insurance products. "The rewards programme we're unveiling today is about offering customers more than just energy," Mark Hodges, chief executive of Centrica consumer said in a statement. In December, business minister Greg Clark said that some people on the most expensive tariffs are the most vulnerable, "and it seems to me that they should not be penalised for what they might see as loyalty to a company that has a blue-chip, and a good corporate reputation." The government is due to publish a green paper on consumer issues in the spring. British Gas insists that its current standard variable tariff (SVT) is cheaper than other major suppliers and that the difference between its SVT and the cheapest deal is among the lowest, at £43. Energy: Is there enough competition in the market?